A Quick Look: The boutique hotel was earlier using Micros Opera software but found it cumbersome to manage bookings. The to and fro of emails for every update in booking took up a lot of staff time. At times, the hotel lost revenues as it didn’t receive booking confirmations. The software also did not allow connection to the OTAs. When the local representative of Hotelogix in Morocco gave a demo of the PMS to the hotel, the management decided to go ahead. 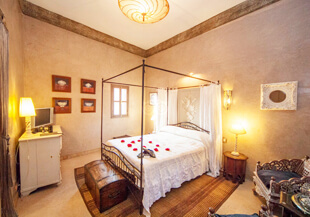 Within months of using Hotelogix, the Riad experienced an increase in occupancy by up to 15% and the staff saved about 6 hours per day. 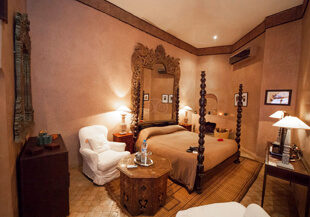 Riad Noir d’Ivoire is a 9-room boutique hotel in the Medina of Marrakech. The property is equipped with a heated pool, a small gym and cosy areas for the guests to unwind. The hotel also offers free Wi-Fi throughout most areas. Receiving and responding to several emails for a single booking like confirmation, advance payment, preferences and additional services became time-consuming. They wasted a lot of time in checking availabilities, as well as confirmed and unconfirmed bookings. The hotel ended up losing revenues as it forced them to block rooms without guarantee. 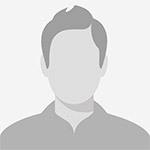 Hotelogix’s channel partner in Morocco, Forleaders Solutions, contacted the manager and introduced him to Hotelogix Cloud PMS by showing a free demo. The management really liked the PMS due to its user-friendly nature. The main objectives of the hotel were to set up a strong booking engine in their website connected with their global schedule and to reduce administrative tasks for their staff. “We considered two systems but mainly chose Hotelogix due to the presence of a local representative and the easy-to-use features of the software,” says Mr. Didier Martin, Manager at Riad Noir d’Ivoire. The migration to Hotelogix PMS was swift and the hotel was guided by Forleaders Solutions at each step. "Hotelogix is a very interesting PMS for small properties like ours; I strongly recommend it for boutique hotels and guest houses. The web booking engine and ability to connect with TripAdvisor has helped us a lot. We appreciate the presence of the local French speaking representative as it helped master the system from the beginning."